February | 2012 | Poverty, Agony, Distress & Want! The Alberta Clipper Strikes Back! So I awoke this morning to a winter wonderland. We had the pleasure of being hit by an Alberta Clipper yesterday, which is a very fast-moving weather system that packs quite the punch (follow the link if you don’t trust me). The clipper apparently dumped 32cm snow according to the media, which unfortunately was not enough to close the schools. The trend lately is to cancel the busing, but leave the schools open. The side effect, in high schools at least, is that hardly anyone shows up. 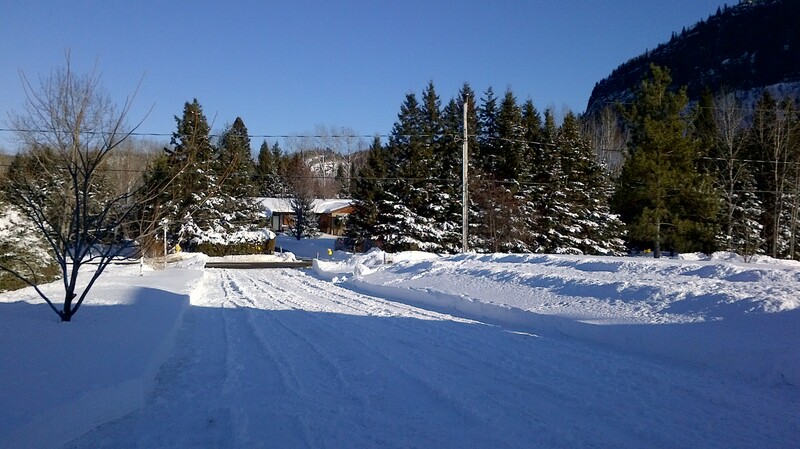 My front yard after the Clipper, Feb 2012.
the board office, but then I spent the rest of the day marking. I guess that was okay, but I would have rather been at home. There’s still hope though; forecasts are calling for another possible dump in a few days. Maybe they’ll call in the army like they did in Toronto in 1999! Now in case you’re wondering (again) why the title, I was trying to think of something clever to do with the weather. This weekend my boys watched a couple of Star Wars movies while my wife and I worked on the basement and it just popped into my head. Now speaking of the basement, there was no trip up the mountain this weekend because we finally got around to installing the laminate floor. Jo-Anne and I started this basement reno (really a completion since we didn’t have it finished when we built the house) in 2009 and we’re now approaching the end. All that is left after this is the baseboard and trim around the windows (in the rec room only-office needs furniture and the bathroom is unfinished). I’d never installed laminate floor before, so this was quite the learning experience. It took us almost 3 hours on Saturday just to get the pad down, but once that was done things moved fairly quickly. There were lots of cuts to make, especially angled cuts, which was a bit tedious. My wife really flexed her handy-lady skills, laying the boards while I did the cutting. We managed to get the rec room done by last night; now we just have to do the office and stairs and the floor is in. The only downside of this whole process is that I am extremely sore today-I guess I used a lot of muscles that I don’t normally do. The hour of snow blowing after school didn’t loosen them up either! You would think that with all of these things going on that there was very little railway work, but I did manage to make time for that too. I spent a few hours working on the article in the middle of the week and I made good headway. I am now up to 1300 words, which is more than halfway through my portion of the article. It’s also a perfect spot, since it gives me a lot of room to write about the building of railway. There is still the struggle about what to include and what to leave out, but I am feeling a lot better regarding the directions things are headed in. In the end this process will give me some excellent experience writing for a historical audience and maybe it will lead to more opportunities in the future. I’m hoping to have a rough draft ready for Lee to take a look at in a few weeks as I know that I will be busy as spring approaches. The calendar tells me that I depart with the students for Europe and Vimy Ridge in 36 days. It’s hard to believe that the date is so close; I think that I am on top of everything but I still feel apprehensive. My jitters probably stem from my lack of experience and that I want to make sure everything is done properly. I did decide that I would like to take my Playbook with me so I can blog along the way; almost like a travelling journal (Playbook OS 2.0 is pretty awesome btw). I’ll be sure to confirm if the tablet will make the trip for sure before I leave. I definitely will have my phone with me so I can post to my Twitter wherever we are ( @Padwrr ). With my limited time I also accomplished my usual spat of research, probing whatever ideas jumped into my head. This week it was information about efforts to link the railway to Duluth during the Canadian Northern years prior to WWI. I also dug-up a few articles on the planned reconstruction of the abandoned rail line to the Paulson Mine in 1921. It seems as though there is always something new to discover. What will this week hold? Today here in Ontario is Family Day and it was the perfect day to spend with the family. I arrived home from the clinic in Minneapolis last night and since I didn’t see my wife and the boys for four days, I really wanted to spend some time with them. If you read my previous mini-blog, you’ll know that I was having a great time at the clinic. We did have a nice dinner on Saturday at the Fire Lake Grill and an awesome evening. All in all, our fourth trip the Glazier Clinic was another great experience. The speakers and the information they presented were very beneficial; definitely hopeful that we can get back in a few years. Kudos to my wife Jo-Anne for looking after all the parenting while I was away; I’m a lucky guy. 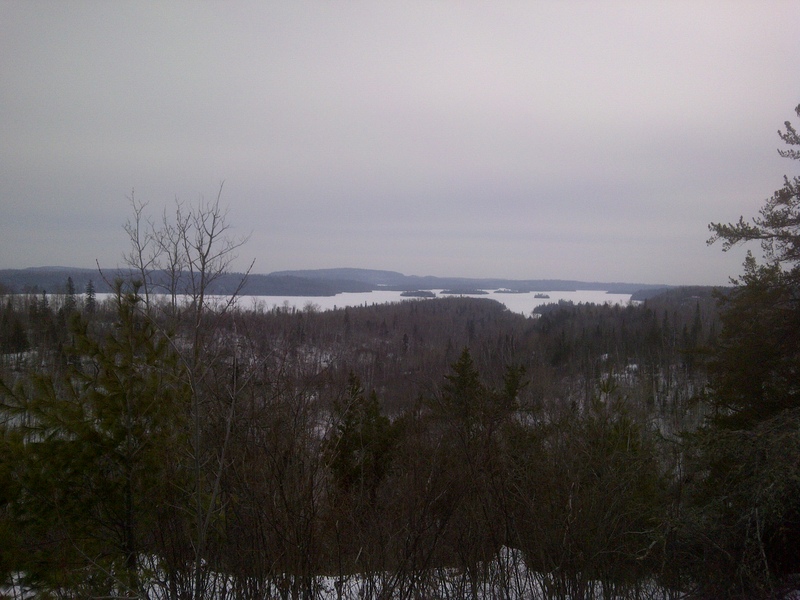 decided that a nice hike up the mountain would counteract a relatively unhealthy and inactive weekend. My wife is not really the outdoorsy type, but she decided to join the men in her life on our little jaunt. Well, the “little” jaunt actually became a 9.1k, 1300 foot ascent marathon, but who’s counting? We took another trail that led us close to Loch Lomond and my legs are absolutely rejoicing at that decision. Ah, you only live once right? Tomorrow it’s back to the grind. Another short week; not only because of the holiday today, but I have a meeting on Friday that will take me out of the classroom yet again. Hopefully I’ll have a chance to get back to the article this week after all of the distractions of the last week. That being said, I better do it before Saturday, since our basement floor finally arrived last weekend and I’ll be trying my hand at laminate installation for the first time. I’d really like to have a rough draft done before the March break since we are heading down to the states and maybe I’ll have a chance to discuss it with my writing partner Lee. Speaking of the railway, I likewise did not get much of anything done last week. There was a little research here and there, but no great discoveries. I did take a few minutes to do some filing today, and while doing so I came to the realization that I may have my work cut out for me on my trip to Ottawa. I thought that I should probe the files of the Canadian Northern Railway, which might be a huge undertaking. Is 6 days enough? I had a few minutes before lunch so thought I’d do a little mini-blog. So I’m here in Minneapolis, Minnesota for the annual Glazier Football Clinic. I just finished a session on 3-3-5 coverages. Yesterday I spent the morning learning about defensive circuits, especially with tackling. Then it was on to training linebackers for the run and pass with Coach Buh from the University of Wisconsin. There are literally hundreds of coaches from many states and provinces here; just an awesome atmosphere. The speakers they bring in are top-notch and cover many different topics. I’m the only defensive coach that made the trip, so the other guys on staff have been taking in sessions on o-line drills and the Pistol offense. Last night we had a great dinner at Oak City and tonight we’re going to head downtown to eat. Too bad tomorrow we have to head back home-not looking forward to the 6 hour drive. Anyway, it’s almost noon, so I’ll wrap things up. I’ll have my usual weekly blog ready to go on Monday. Speaking of work, this week is another in a series of short weeks that seem to be popping up lately. Last week it was preparing for our school’s annual open house for Gr.8 students; on Friday I will be in Minneapolis for our fourth visit to the Glazier football clinic. Other than the 6 hour road trip, for which I always get stuck in the driver’s seat, it is a pretty awesome weekend. College and pro speakers, coaches from all over the mid-west, Ontario and Manitoba…what’s not to like? Maybe I’ll try and do a quick mini-blog while I’m there. For certain I will have some comments to make for next week’s ramblings. Me, photographed by my son Ethan. Since I’m away this week, I tried to spend as much time as I could with my boys Ethan and Noah on the weekend. On Saturday we took in the 3D version of Star Wars Episode I; yes, I know, not the best of the series but my kids liked it (meesa liked it too!). It was pretty cool in 3D; makes me look forward to seeing all the other episodes! On Sunday we were up the mountain for the first time in a few weeks. It was bright and sunny and the weather was great. We pushed a little further and made it to the Loch Lomond overlook. I think the boys enjoyed it too, though they like to complain on the way up. The way down on the other hand was a completely a different story, with dad struggling to keep up! Well, I guess I should say something about the railway since it is the theme of this blog. Last night I finally managed to get some work done on the article. I’m still finding it a tough go though; hammering out 200, 300 words was a bit of a chore. I only have 2500 words to work with, so it’s hard to figure out what to include and still try to make sense. I figure I’ll write it how I think it should read and then if I need to later, do some cutting. The only thing that worries me is that if I’m having this much trouble now, what am I going to do when I’m writing a whole book? Maybe it will get better with age…I hope. So today was the first day of semester two, hence the “take two” title. It is also my 14th second semester start-up…wow, I’m getting old! That being said, as a teacher I always like the start of second semester, since it means that we are now on the downward slide toward summer. Before you know it the snow will be gone and the days will be long and warm. And then I’ll be on vacation for two months! There is however a lot that needs to happen before that point; five months of teaching, assessment for learning, Vimy Ridge trip, spring football camp…yikes. I’m sure though, when all is said and done, it will be one huge blur! Speaking of football, yesterday was the Superbowl. There are no numbers yet, but I would assume that millions of people around the world watched the game. I host an annual party for my friends; the food and the company certainly make for a great time. Unfortunately, I was not particularly pleased with the result. I’m no New England lover, but as a long-time Cowboys fan, I could never bring myself to cheer for anyone in the NFC East; well, except if they were playing the Steelers. I HATE the Steelers…hate! So the only downside of a Giants win has been the ribbing I’ve been taking from my wife. Now, let me clarify that my wife hates football with a passion, but somehow she decided she should cheer for someone other than Dallas. So she picked New York, not because they are a division rival, but because they are Jon Bon’s team. So she has been taunting me that her “team” won despite the fact that she has never watched a game in her life! She claims that I’m just sour because she was right…why can’t I just pick random stuff and have it work out for me? Now that the new semester has started and things will be fairly quiet for the next few weeks, I am hoping to get more work done on the article. I promised my writing partner Lee last week that I would get more words done, but as usual it didn’t work out that way. I did however find a bit of information that I needed for my portion of the article on top of the regular dosage of new research I accumulate on a weekly basis. I was able to track down that critical document from the library in Kansas City, though it was quite the ordeal getting it (probably the most expensive article I’ve ever paid for). I’ve also managed to get most of those stacks from my last post filed in their appropriate folders; I think I need a larger filing cabinet! 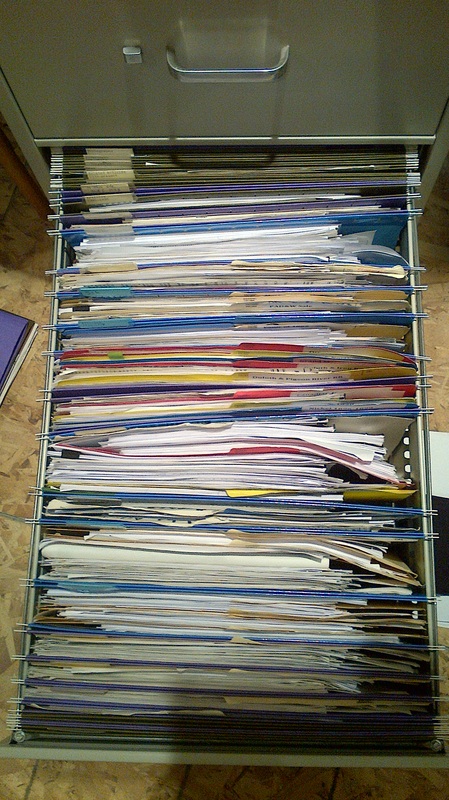 I’ve almost filled an entire drawer and most of the folders are stretched to the max. At what point does a project become an obsession? I guess with the thoughts of summer has come some thoughts about the forthcoming season of field work. I’ve always been a firm believer that a project like this cannot be accomplished at a desk alone; you need to get your hands dirty…literally. There is so much to be learned about the character of the railway from these hikes. Besides, it’s great exercise and I love the outdoors. The fieldwork also serves another purpose, which is to document what remains of the railway before some of these landmarks disappear completely. 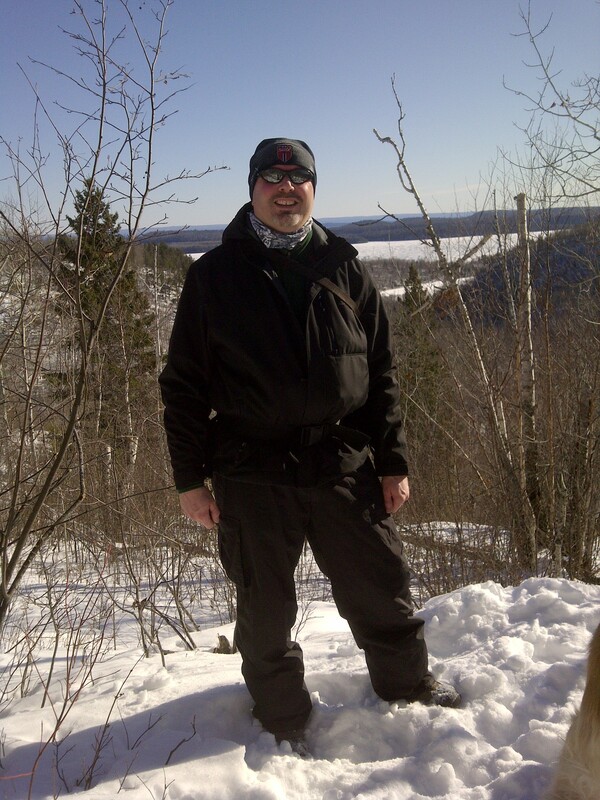 I hope to be on Gunflint at some point this summer in addition to the little day explorations that usually go on. I’ve also given some thought about getting back to the Paulson Mine area to probe the course of the railway near the second switchback (next year?). However, my most ambitious plan is to examine the planned railway route between Gunflint and Ely, MN. When the railway was completed in 1893 there remained approximately 45 miles between the two locations; the link was never completed due to the geography. I really want to see it first-hand so I have that information for my book. The Kekekabic Trail does parallel the route, but it is not the exact thing, so I’m not sure how to tackle it. I’ll have to stew on it a bit…much to ponder.